Hats off to Pink Saturday! 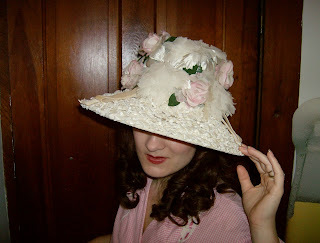 Today I'm going to share some of my pink vintage hats. This one I got from a client of mine, who gave me tons of her vintage clothes and things that she actually wore "in the day". 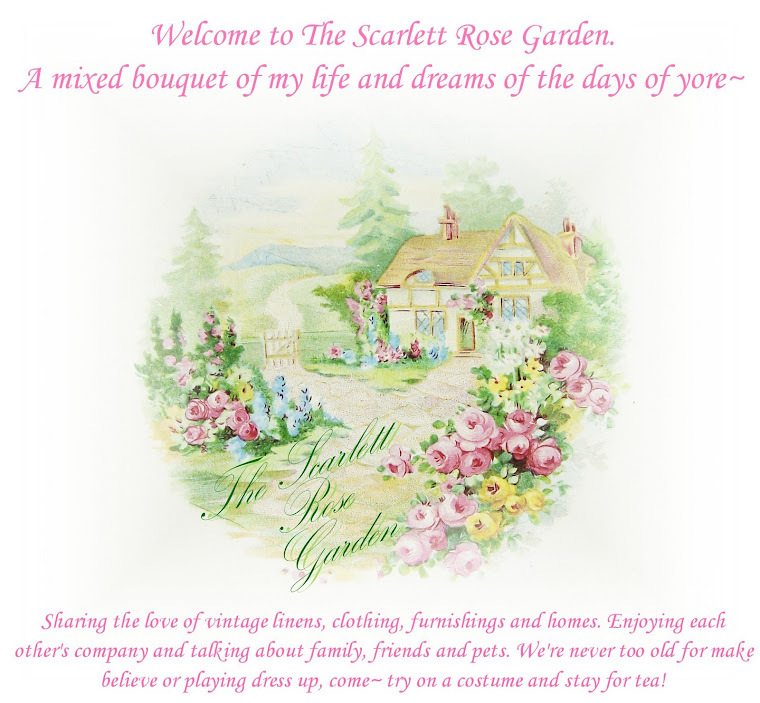 I love knowing where my vintage garb comes from, and I was so flattered that she trusted me to have her belongings. You could tell they really meant a lot to her. 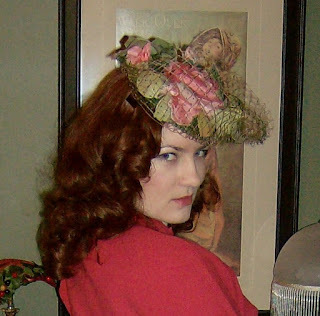 I wanted to wear this hat last Easter, but the dress I had picked out was too cool for the weather that day. So here I am sporting it in my pink gingham housecoat! Ooh La-la! 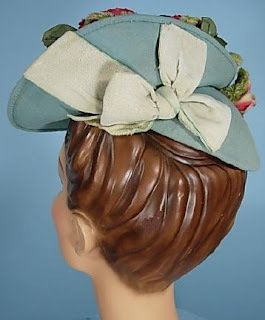 Here is a headband type hat. I believe this may have been worn as bridesmaid attire. 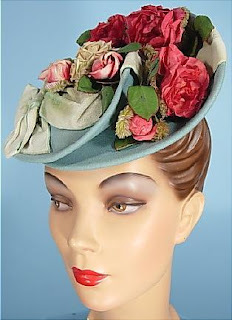 This gorgeous velvet, net and floral piece is my latest hat purchase. Does it meet your approval my dear?? This is a fave. I wore this for Easter this year. The netting on it is very coarse, not at all like normal hat veils. I felt rather funny wearing this one. Click to see details! This was the same day that our "family portrait" was taken that is featured in my banner. It was SO cold that day! We bundled up to *quickly* have a little Easter egg hunt. 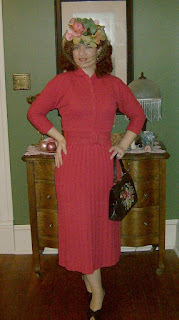 This outfit is vintage~ a bright berry pink knit two piece from the late 40's or early 50's. Handbag is vintage needlepoint roses. I bought this specifically to wear on our anniversary trip this past February. We were about two hours from home when I realized I had forgotten it. I was so disappointed! 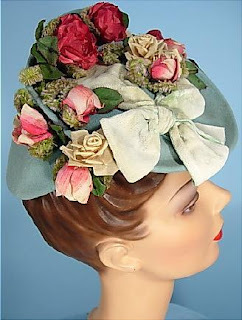 This is a dream hat that I do not own. If I remember correctly, it went for like $500 or $600 on the bay. It is SO fabulous. Would be fun to try and make something like it . I always wonder who bought it... a collector, or perhaps someone in Hollywood for a film. Just stunning. I like the old mannequin too, she's perty! The entire box was encased with tape. *grumbles* How in the heck am I supposed to get into this?! Ahhh, easier than it looked. I just slit one end open and pulled it back. Then I saw this beautiful paper, and it dawned on me that it was wrapped this way as to not damage the Ashton Drake box in case of resale. Oooo, she's SO pretty! Ooo she nekkid! Yes, another doll. I said I didn't have any doll $$$, and I don't.... not for a $150 plus doll. But I picked up this beautiful Madra doll for only $20. I think she will make a lovely Belle Watling. Belle, we know your reputation, but be a doll and put on a robe will you? I figured since she's a saucy, sultry girl that she could borrow Rose's kimono. Fitting for a soiled dove, don't you think? I'm sure she'd give Jack a dime to draw her like one of his french girls too. Now I need to make Belle's red coat. 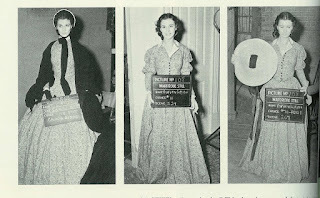 This info was taken from one of the books in my collection, "Gone With the Wind On Film". It lists every costume in detail. I have found some descriptions to be innacurate however. 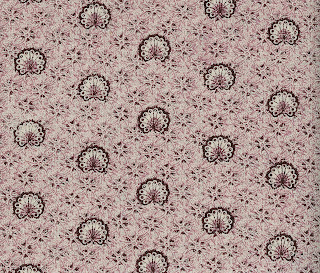 Click to view the large version. 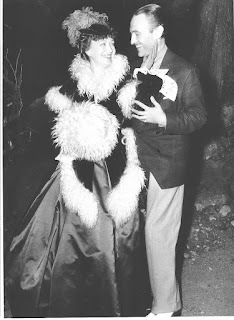 Here is a photo of Ona Munson (Belle), with Walter Plunkett ~who designed the costumes of Gone With the Wind. 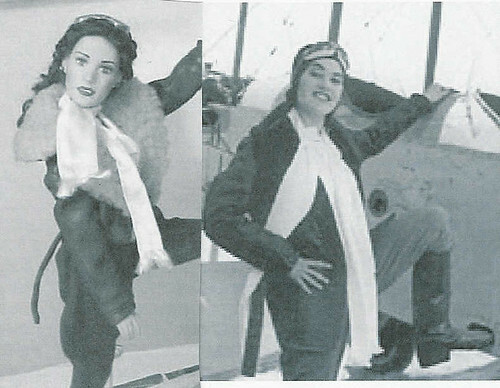 This particular outfit was said to be one of his favorites from the film. It is very sad that Ona took her own life at age 51. 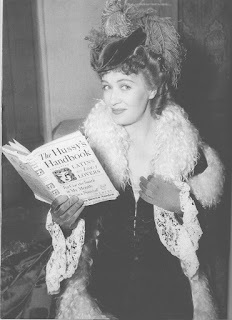 She was typecast in Hollywood as a madam~ always playing such rolls and this seemed to upset her. "This is the only way I know to be free again...Please don't follow me." I'm jes' s'proud to be here! This is my new vacuum cleaner, Minnie Pearl. I was on the prowl for a new machine, and did a lot of research on the net. I knew I wasn't going for fork over $500 for a Dyson, and after reading reviews I definitely wouldn't anyway. I needed a vacuum that was good with pet hair and toddler crumbs. The Eureka Boss 4870 came highly recommended in Amazon reviews, as well as other consumer review sites. After having a bagless and hating it, I was ready for a bag again. The boss comes with a Power Paw, great for furniture and stairs. Poifect! The price was around $150, which is the most I wanted to spend. And I needed one QUICK, as I was getting company and the old vacuum just was not picking up like it should. sitting all by herself in the middle of the isle. I ran up to her. Hmm, $119.99 marked down from $149.99. Not much of a clearance, but hey... better than full price. I looked her over and noticed there was no Power Paw. Aww man!! Just then a sales lady asked if I needed help. I said I was possibly interested in the vacuum, but there were pieces missing. She looked all around for the box, stating that the boxes were usually kept on the top shelves. Nothing. It was the only machine in the place, no numbers in the system, it was as if it didn't exist!! She told me she would call a manager and see what's up. Gets off the phone, turns to me and goes, "He said you can have it for 50 bucks". OMG, no way!! Woohoo! I'll take it! Shoot, I can get a Power Paw on eBay! Holy cow was she heavy to get in the car. A LOT heavier than my old machine. Ah well, that means a better motor, right? SO, I left her price tags on just in case. I figured I'd give her a few weeks. After all, she does perform well. Maybe I should just exercise and not be such a wimp! Got back on the net and no other vacuum seemed to fit the bill. Went to eBay and ordered the Power Paw and 30 vacuum bags all for about $35. Can't beat that! 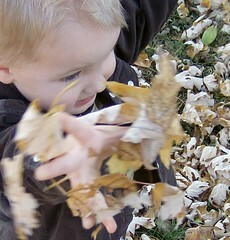 I'm still under $100 for a new sweeper! It's been months now and I'm ready to take the tags off. But I kinda hate to do it, as it's become a joke. I assume Eureka has come out with a newer model and that's why I got a good deal~ but that's ok. I'm sure Minnie will do jes' fine till I need anothern. After surviving breast cancer through aggressive treatments including a double mastectomy and radiation therapy, she became a spokeswoman for the medical center in Nashville where she had been treated and somewhat for cancer survivors in general. 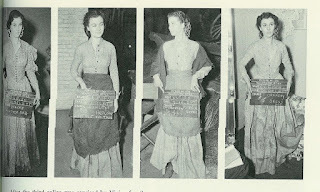 She took on this role as herself, Sarah Ophelia Cannon, not desiring the "Minnie Pearl" character to be associated with such misfortune, although a nonprofit group, the Minnie Pearl Cancer Foundation, has been founded in her memory to help fund cancer research. The center where she was treated was later named the Sarah Cannon Cancer Center, and has been expanded to several other hospitals in the Middle Tennessee and Southern Kentucky area. Her name has also been lent to the affiliated Sarah Cannon Research Institute. She lived to be 83. Hello and welcome to PINK Saturday! Some of you showed some interest in dolls, so I decided today I'd share a few of my Scarletts. These are both vinyl dolls from the Franklin Mint. They are about 15 inches tall. They can wear most of Gene's clothes, and the Tonner doll clothes as well... give or take! I think I have 4 of these Scarletts all together, and most of her entire wardrobe from the film. Here is another FM Scarlett of mine wearing the poor calico dress. 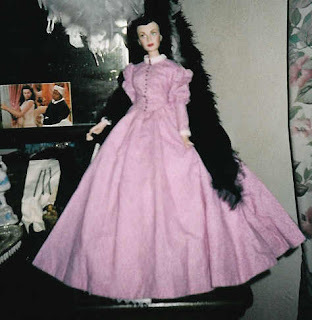 This dress was made by a member of my group, Scarlett O'Hara Vinyl Portrait. 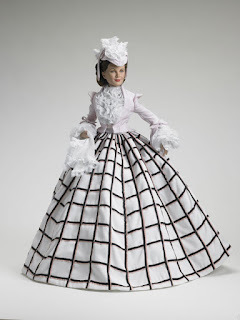 Franklin Mint did not offer this dress at the time, but have since come out with it. I made the little pitcher in ceramics... I think it's so cute! Gotta pour water while talking to Frank Kennedy you know! I love this dress in all of it's many stages. The original dress was more of a lilac shade, tho on film it has always looked mauve to me. 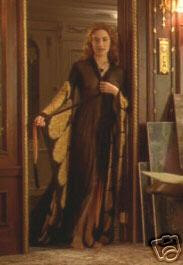 I read there were about 35 versions of this frock made for the movie. 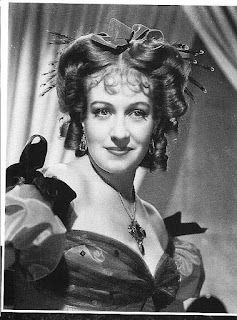 I cannot beleive that only the bodice of one has surfaced....It's a shame how many Hollywood costumes wound up on the floor or thrown out. 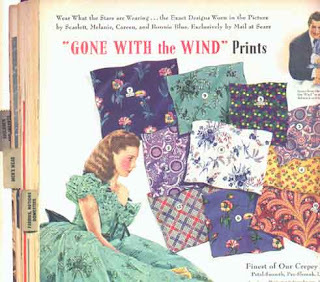 In the spring and summer of 1940, Sears put out a line of GWTW fabrics. This particular calico was one of them.... oh, what I'd give for some of that material today!! And it was only 55 cents a yard then! I have this catalogue and it's one of my most prized GWTW items, very rare and collectable. 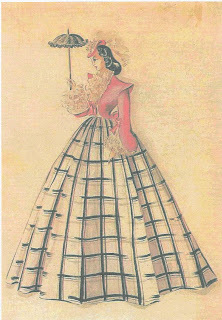 Not to mention I love looking at the fashions from the era! I want to make this dress for myself some day. This is the closest fabric I could find~ I've had it forever. I did come across another one that looked great but when I went back to the site it was gone. 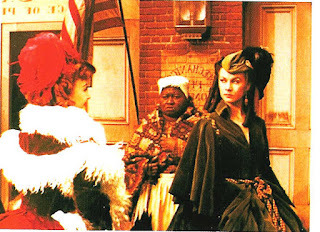 My GWTW partner in crime, Dee of Scarlettonline, has had many costumes custom made for her. Here are her two calicos... one nursing version, and one after the war. Just beautiful! The seamstress really did a tremendous job of aging the fabric. If you get a chance, check out the other reproductions at that site. 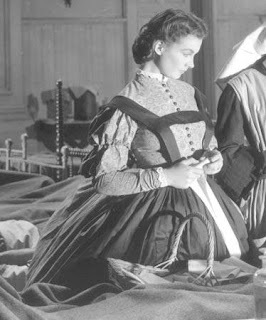 GWTW4Ever is a phenomenal seamstress.